(Wade Thompson — Visual Director). 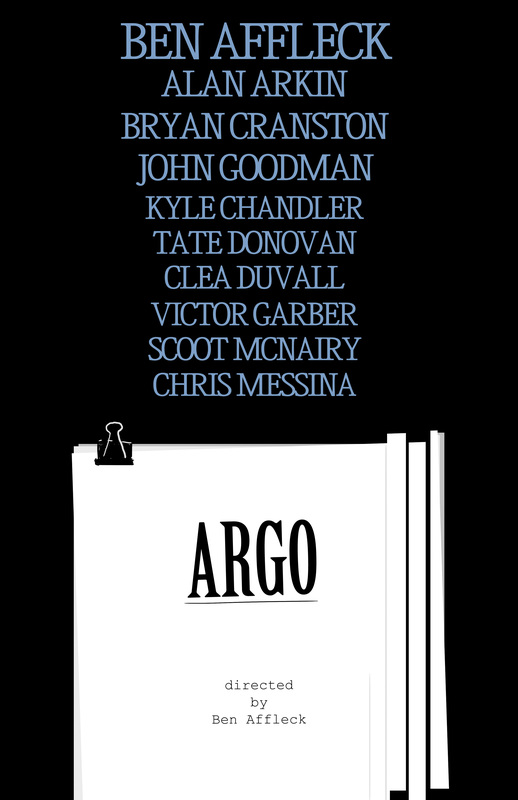 Argo has quickly become the film to beat this year, and it doesn’t look like it will be slowing down in the final stretch either. Based on real events, the movie is about a covert CIA operative that attempted to evacuate a group of American diplomatic personnel from revolutionary Iran in 1980. Director/actor Ben Affleck demonstrates that his comeback in the last few years has been no fluke. His direction is solid, moving seamlessly between the light heartedness of the Hollywood sections of the story (the ultimate plan to get the Americans out is to create a fake movie, filmed on location) and the intensity of the Iranian protests. His supporting cast of character actors puts the film over the top. While Alan Arkin picked up the only Best Supporting Actor nod this year, his cohort, John Goodman, could just as easily filled his place. The two work so well together and create a one-two punch that really brings the film off the level of your typical historical thriller. There are aspects of the movie that are slightly bothersome though. The film’s prologue and epilogue seem tacked on, and do not fit with the tone of the rest of the film. I also would have liked to have seen more screen time for Kyle Chandler and Chris Messina, which makes the bookends of the film even more frustrating. 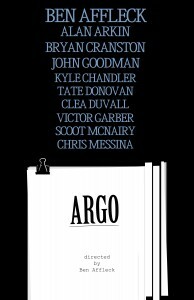 Overall though, Argo is quite an entertaining picture. It’s not perfect by any means, and I’m not sure it’s as good as Affleck’s directorial debut, Gone Baby Gone, but it’s well worth watching. It’s just a damn fine story to be told.